Transfer news is back to bring you all the Premier League gossip from Monday's papers, analysing the biggest stories so that you don’t have to. 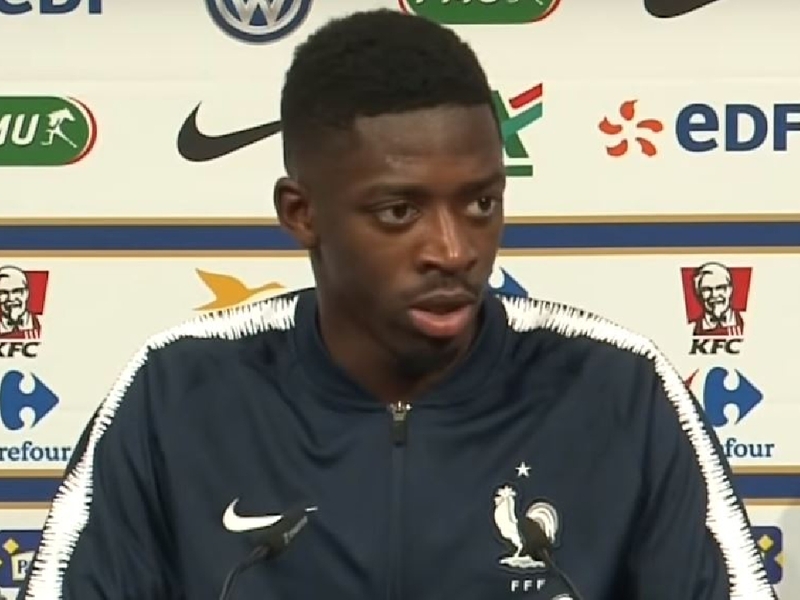 Ousmane Dembele is ready to end his disastrous spell at Barcelona and the club are reportedly planning on using him as bait in an audacious attempt to bring Neymar back to Spain. Dembele joined Barca from Borussia Dortmund last year in a £93million deal but has been unhappy at his new club and appears to have fallen out with manager Ernesto Valverde. A report from Goal.com claims the 21-year-old has asked to leave in January and Barcelona are ready to let him go. But they want to sell him back to his native France in a deal to bring Neymar, whose world-record move to Paris Saint Germain appears not to be working out, back to Barcelona as soon as January. Love Sport verdict: Unreal isn't it? Less than 18 months after making a record move to Paris and Brazil's most prized player could be on his way back to the Camp Nou. Given how unbelievable the move was initially, a reversal would hardly be a surprise. David de Gea could be on his way out of Manchester United if he cannot agree a new contract and the Sun claim both Juventus and now PSG will be among those eyeing a move for him. The Spanish goalkeeper joined United in 2011 and has quickly become an integral part of the team - he has won the club's player of the year award in four of the last five seasons. De Gea's current contract technically expires this coming summer but United can trigger a one-year extension at any point, something they will likely be forced to do with no new deal forthcoming. And they will then cash in on the 28-year-old and the Sun claim PSG are the latest club to express an interest in a summer deal. Love Sport verdict: Don't write off De Gea staying at United. Repeatedly we saw him linked with a move to Real Madrid and twice that seemed to be a done deal only for it to fall through. We could yet see a new contract and with such a narrow market for a new goalkeeper, United will be desperate for their Spanish star to stay. Andreas Pereira has hardly featured for Manchester United this year and a report in the Mirror suggests he could be on the move with both Chelsea and Arsenal interested. The 22-year-old made his Brazil debut in the summer but has yet to become a regular in the United first team. Like De Gea, Pereira has less than a year left on his contract but there is a clause to extend it for a year. But the Red Devils will reportedly accept a cut-price £10million deal for the midfielder while there is also loan interest from Monaco, Inter Milan and Valencia. Love Sport verdict: Brazil clearly rate Pereira higher than Manchester United do. Chelsea have let plenty of young players go they went on to regret and one wonders if Pereira might turn out to be one of those United have got wrong. If they have, it will sting even more if their rivals are the ones to take a chance on him.